Don't struggle to get warm when the temperature drops, just slide into the Columbia Heavenly™ Omni-HEAT™ Slip Boots. They've got Omni-HEAT™ insulation which lines the boots in a reflective metallic material that actually bounces your own body heat back at you, adding warmth without adding weight or size to the boots. The faux fur lining makes things even more cozy and the Omni-TECH™ built-in seals out moisture so snow melt doesn't ruin your day by getting your toes wet. "Can you roll the cuff up? Thanks!" "Per the manufacturer you can roll up the cuffs up on this boot. " "What is the height of these boots?" "When the top flap is unrolled it's about 15 inches when the top flap is rolled over it's about 13 inches tall." "Can you tell me the leg size ?" 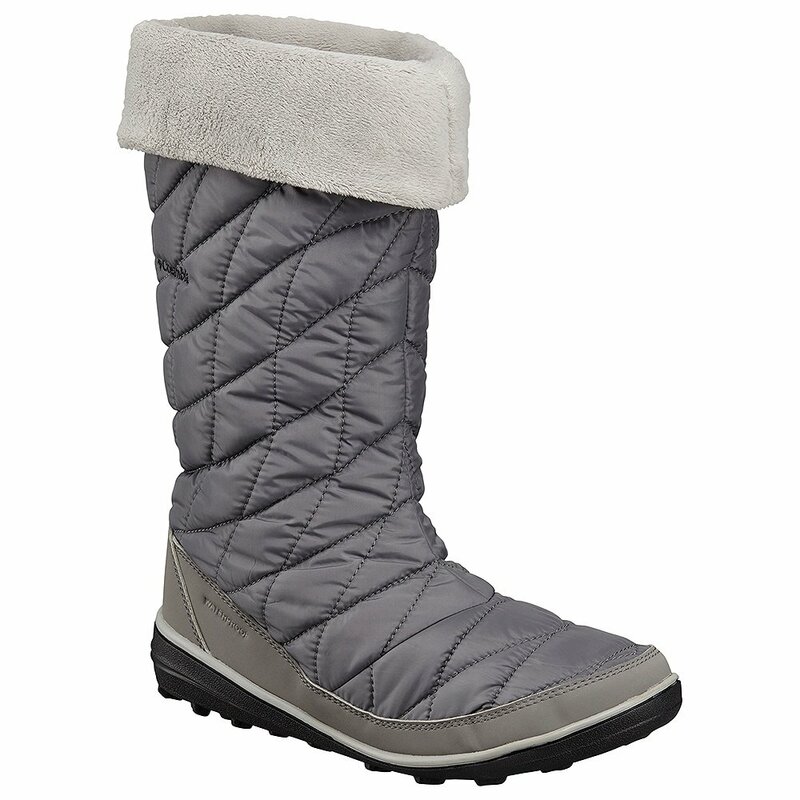 "In a size 8, the measurement on the Columbia Heavenly Omni-HEAT Slip Boot is a 14 inch circumference. These boots tend to run small. Hope this information helps!"